When it comes to good health, there are some essentials we can’t live without. For example, for out body to perform all it needs to do, it requires these essential minerals: Potassium, sodium, calcium, magnesium, sulfur, chlorine and phosphorus. When balanced, these seven essential minerals keep your body in check and working properly. But when there is an imbalance, the side effects can really take a toll. One essential mineral which can be linked to an increase in serious muscle cramps if there is a deficiency is potassium. You may know the body needs potassium and it can be found in bananas. But potassium is more than a mineral found in fruit. It contributes a lot more to the body as a whole. So here is what you need to know about this essential mineral. Potassium, as mentioned, is an essential mineral which affects the balance of fluid within the body. It helps regulate the kidneys and plays a role in the brain, nerve functions and heart health. Furthermore, potassium is also present in our muscles, and low potassium intake can lead to debilitating muscle cramps. The World Health Organization (WHO) recommends 3,510 mg of potassium a day and also suggests that the average American is not taking in the recommended dose. Potassium can be found in potassium rich foods or in supplement form, but sometimes if we don’t get our potassium daily intake, we run the risk of a potassium deficiency. Low potassium intake can lead to hypokalemia – or potassium deficiency. This can be caused by many reasons; for example, by the use of water pills, excessive loss of fluids – either through diarrhea or vomiting – use of insulin, and decreasing food intake can all be a cause for hypokalemia. Frequent urination and increased thirst. Although hypokalemia can be detrimental, hyperkalemia – or too much potassium – is equally as harmful. Common causes of hyperkalemia are acute kidney failure or kidney disease, alcoholism, type 1 diabetes and the destruction of red blood cells. 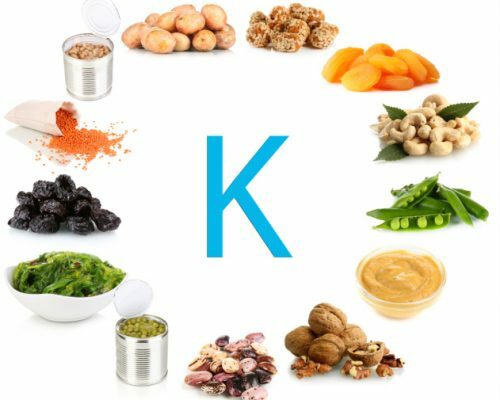 Now that we understand the detrimental effects of low potassium intake and too much potassium, here are the health benefits when potassium levels are well balanced. Heart health: From blood pressure to cardiovascular health in general, your heart needs potassium. WHO suggests that potassium can help reduce blood pressure and promote cardiovascular health. Today’s Dietician reported that those who consumed 4,069 mg of potassium a day lowered their risk of mortality from ischemic heart disease by 49 percent. Bone and muscle benefits: As we mentioned, potassium is essential to avoid muscle cramping. But research also shows that consuming potassium can help maintain lean muscle mass. Kidney health: High blood pressure can impact kidney function, so not only is potassium helpful with blood pressure, but in turn it will promote strong kidney function. Potassium can also reduce the risk of kidney stones which can be incredibly painful, so avoiding them altogether is your best defense. Although potassium is useful in promoting kidney health, if you have kidney problems, too much potassium or increasing your intake is not advised. If you have concerns about your kidneys and potassium levels, speak with a medical professional before embarking on a potassium rich diet or potassium supplementation. As you can see, potassium rich foods come in many varieties, so getting in your daily dose shouldn’t be too difficult. Other notable potassium rich foods include milk, fish, pumpkin and cereal. With healthy eating, and a variety of foods, you can not only get enough potassium, but also get your intake of the other essential minerals your body needs. Because potassium is essential for our health, getting in your daily amount will make all the difference. So stock up on some bananas, spinach and avocados to give your potassium a boost –or else you may find yourself cramping and tired! Imagine this… a fruit that has been altered to be more nutritious. Would you buy it if you knew it was healthier? How about if you knew that the alteration would make it taste better? What lies underneath that bright yellow peel? An abundance of nutrients your body needs to stay healthy and functioning at its best! Turns out, the humble banana is more important for your health than you may have realized, so take a lesson from those energetic apes.